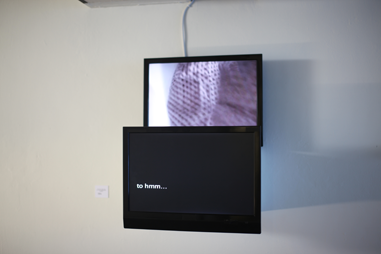 Photo of video installation. Material: Two flat screens, two DVD player, two videos, wooden box. Link to 1:15 min video fragment of upper screen. Link to 4:30 min video of lower screen.